Teachers: Here is the key decoding the spy letter. It is based on the how letters are arranged on the keyboard. It might work best if you break up the letter into different parts and let students work in groups to decode it. Give students the key if time is an issue. Due to our recent casualties in battle, we have become severely outnumbered. We have bunkered ourselves in a fort outside Saratoga, but fear that the enemy will soon learn of our weakness. If we are to strike, it must be now. The enemy is vulnerable to a sneak attack from the north if you move quickly. We can provide enough of our forces to distract them on the southern front. The attack is planned for tomorrow night. Our cause is counting on you. 1. What was it like to be a spy during the Revolution? 2. What methods were used to communicate secretly? 3. How dangerous was a spy’s life? 1. a. How was each of these commumication methods effective? b. Did they have any drawbacks to them? c. Which method do you think was the most effective? 2. What happened if they were caught? 3. How did the spies feel and what were their attitudes after they were caught? The students will be expected to create a concept map in order to help them answer their questions. They will also need to use what that have learned throughout their exploration to create their own spy letter. The letter can detail something as simple as what the students have learned during the project, but try to push the students to create a letter that could have conceivably been written during an event in the American Revolution that they have already learned about. Students are provided a website and are then asked to search for the data they need within this site. 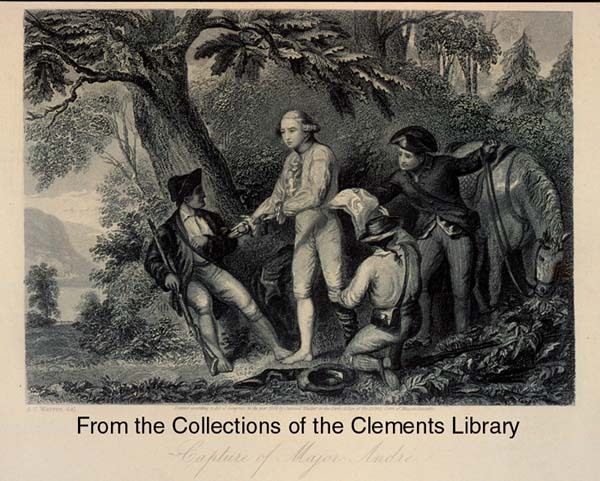 The question is, “what was it like to be a spy during the American Revolution?” To answer this question we went to http://www.si.umich.edu/spies/index-main2.html to visit Spy Letters of the American Revolution. We thought of several questions stemming from this topic: What methods were used by spies? What happened if they were caught? How dangerous was it to be a spy? To investigate the first question we examined the letters section of the website to fins several methods used by spies. For the invisible ink letter, we found a letter a letter that was treated with acid to expose the invisible ink. The next question deals with the capture of a spy. We analyzed two pictures: one of his capture and one of his hanging. We found that even though he was captured in his “spy” American outfit, he was hanged in a British uniform, denoting his identity as a spy. We were then led to the question: what were the feelings of a spy when he was captured and awaiting punishment? 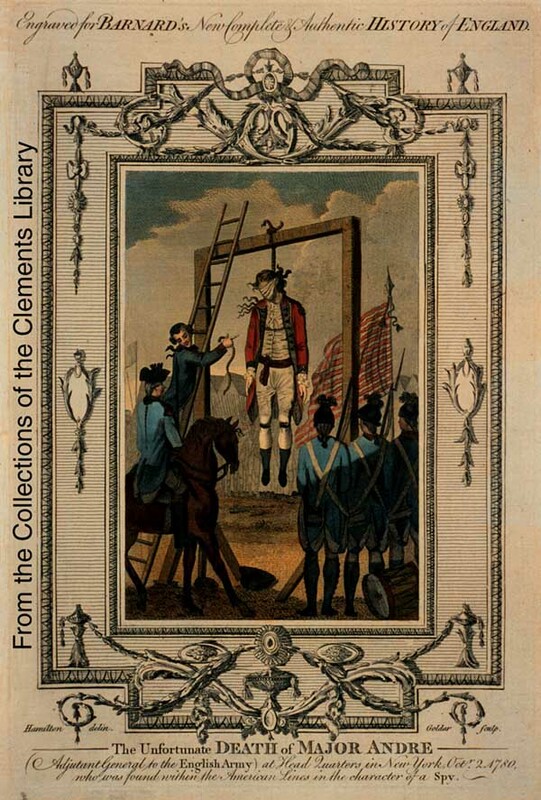 In particular, we looked at John Andre. He analyzed a letter he wrote days before his death. We found that he was incredibly loyal and quite accepting of his fate. He was also worried about his family. He was concerned with everyone else except himself. The question about how dangerous was it to be a spy, we realized was better answered using the analysis we just did. The danger stemmed from the fact fear that you could be caught and put to death. The following is an example of the steps taken to create a concept map that answers the questions proposed. Unexpectedly, while analyzing the invisible ink method, we noticed that it was the same letter that we analyzed for John Andre’s impeding death. The invisible ink letter was written in two parts: an innocuous letter written in regular ink and the hidden message written between the lines in invisible ink. When looking at the letter we thought we couldn’t see the invisible ink and thought that maybe it couldn’t last for 200+ years. 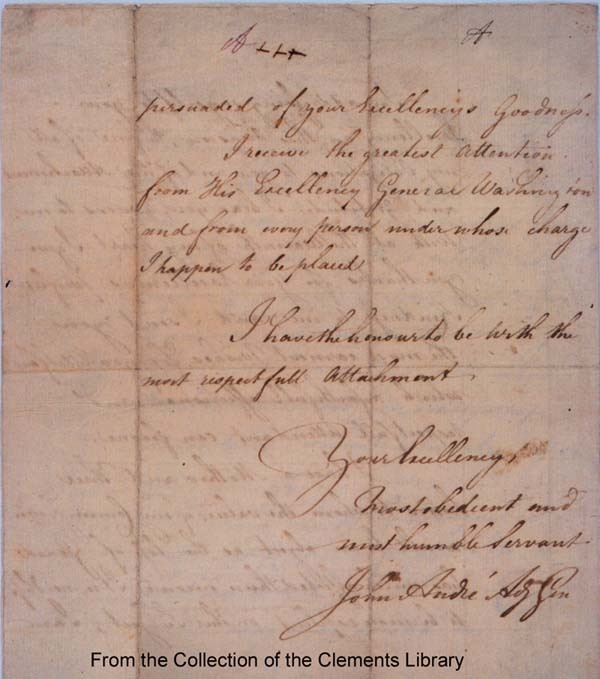 Also, while analyzing the letter he wrote we noticed that Washington allowed him to write the letter to his commander. This led us to think it might be censored by the Americans. Once we realized that it was the same letter in both cases, it led us to some new thoughts. Perhaps, the letter had no innocuous message because Andre was allowed to write the letter. Thus, the message we were reading was the invisible ink. Also, the letter was probably not censored because it was written in invisible ink. That was an unexpected find for us and we designed the project. Have students choose a letter writing method they believe is most effective and have them support their answer with their findings from the project. Then have them create their own letter detailing an event of the Revolution that they have learned about, using their method. This assignment will demonstrate what they have learn in exploring this WIP. Who are some other spies and what was their role in the Revolution? Did the actions of any spy have an impact on the outcome of the war?